You will never forget your time spent in front of a larger than life video wall. These displays are sure to make an impact in any environment, while still being the most powerful and flexible solutions on the market. At Empire Digital Signs we believe that in order for any digital signage to be successful it should be well planned. Your video wall consultation will include an a detailed observation of your desired location in which space, light, and your budget will be taken into consideration. Our Content Creation Department will develop a fluid and dynamic presentation to ensure you get the most out of your investment. As with all of our solutions, your content will be managed remotely via the cloud giving you the option to change your messaging no matter where you may be. Empire Digital Signs partners with the industry’s leaders in hardware and software developers to provide you with the brightest screens on the market. Well-lit facilities can now take advantage of digital signage that will never be drown out by natural lighting. Create a stunning look with the ultimate in video wall solutions. A slim-bezel display creates a virtually seamless look and allows you to display your content on a disruption-free digital canvas. 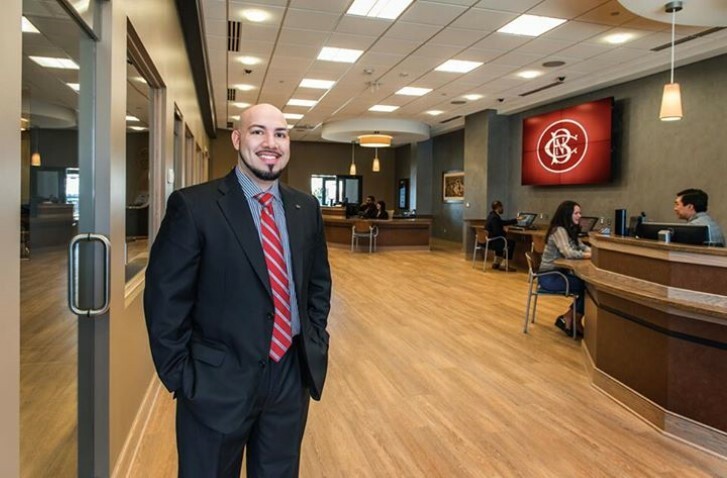 Pictured (right): Canandaigua National Bank Video Wall. Looking for something a little more out-of-the-box? 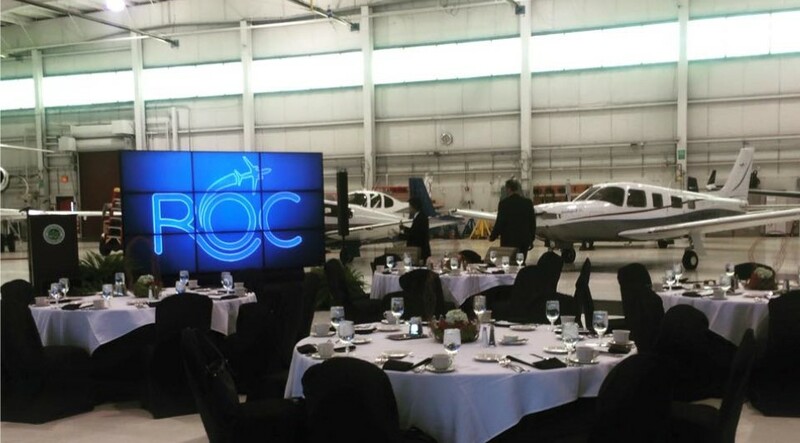 Contact us with a configuration plan and the video wall experts at Empire Digital Signs will make your vision a reality! When it comes to video wall content, it’s not just about the screen-it’s about what you do with it. Content is the driving force behind all of our products and the key to digital signage success, that’s why we’ve made it a core-competency.We will work with your business to create engaging content that will compliment the enormity of a video wall and creatively use up the space. Have a big event coming up? 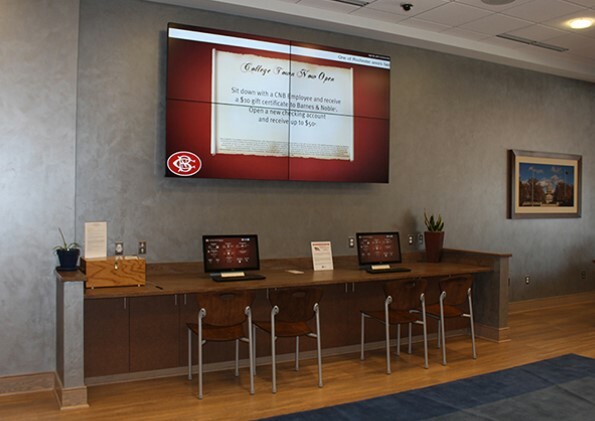 With the addition of a video wall you can display information, photos, videos, ads, and more. This is sure to make an impression and grasp the attention of your audience. We will work with you for any short term or long term event, and even run content to save you time! 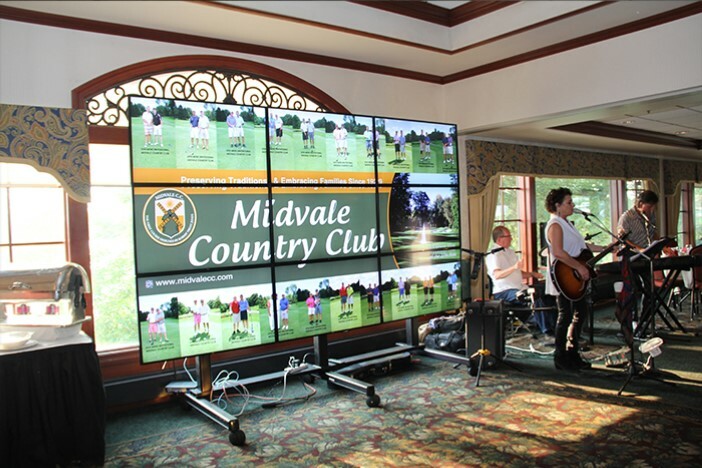 Contact Us Today for a Video Wall Consultation!